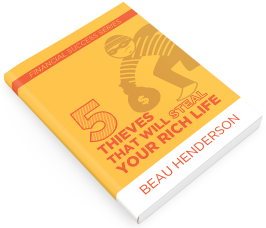 This doesn’t have to be your story, but if you aren’t prepared for the 5 thieves, your retirement goals, even your daily living, could be in jeopardy. Get a pocket-sized version of 5 Thieves for yourself or to give away. Purchase in bulk for your friends or your office to save!